You will definitely want to be thinking sentimental for gift ideas!! over the past couple of years! photo taking of the two of them only happens every so often! 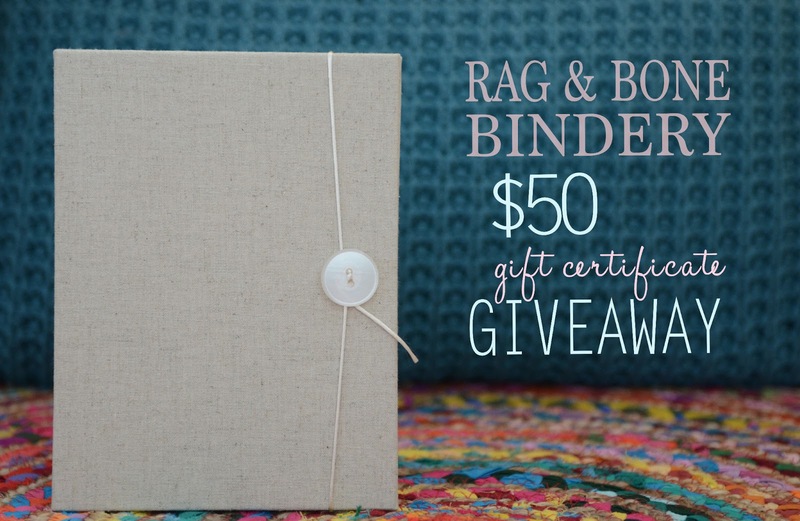 Rag & Bone Bindery has an endless amount of ways to preserve your precious memories! It is a family run business out of Pawtucket, Rhode Island. are glued and wrapped by skilled bookbinders. using traditional bookbinding tools and techniques. Rag & Bone Bindery is offering one reader a $50 gift certificate!! Love these...mom is going to love it! I made sure she got it before she saw it posted here, and her exact words in text were "Well you got me all crying. LOVE, LOVE the picture book with a bunch of smileys & hearts. Thank you so much!..." #bestdaughteraward :) haha j/k love you sis! can you believe that we're talking Mother's Day already!? Ahh this year is flying by! Thanks for the cute idea, I love giving gifts for people but sometimes struggle with what to buy! !